As part of the lighting of two isolated areas, the municipality tested Sunna Design products installed by the company Solaire 17 for two years, autonomous solar street lights perfectly suited for use in these sites that are completely isolated from an electricity grid. 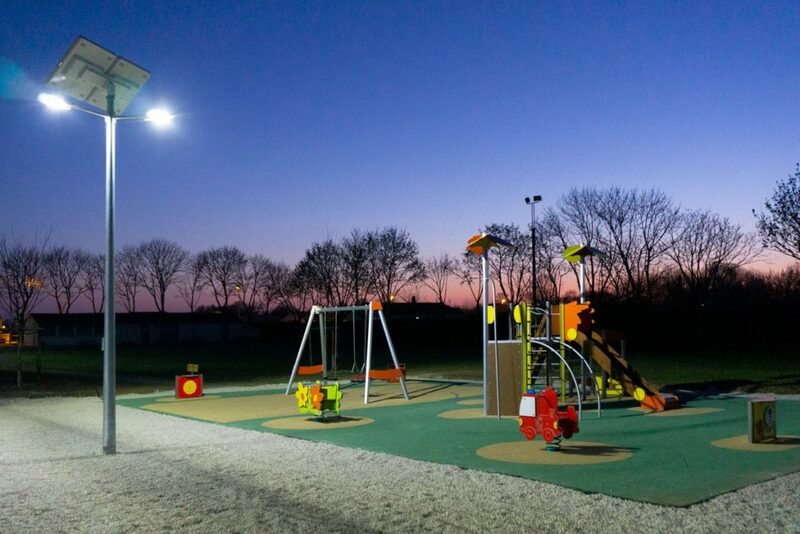 As part of a new development of a “City Park”, a major project for the municipality of Saint Pierre d’Amilly, our installer imagined the lighting of this place by Sunna Design solar streetlights solutions. In addition to efficiency and reliability, the installation of an intelligent solar solution perfectly complements the image of a business park dedicated to children and sport, in the heart of nature, while respecting the environment. Sunna Design’s products reliability has been confirmed by the successful testing of previously installed products. Indeed, during these two years, no maintenance was required on the solar-powered streetlights installed in 2016. For thecity stadium, the UP2 mounted at a height of six metres provide uniform lighting which is powerful enough to play ball games in the evening. 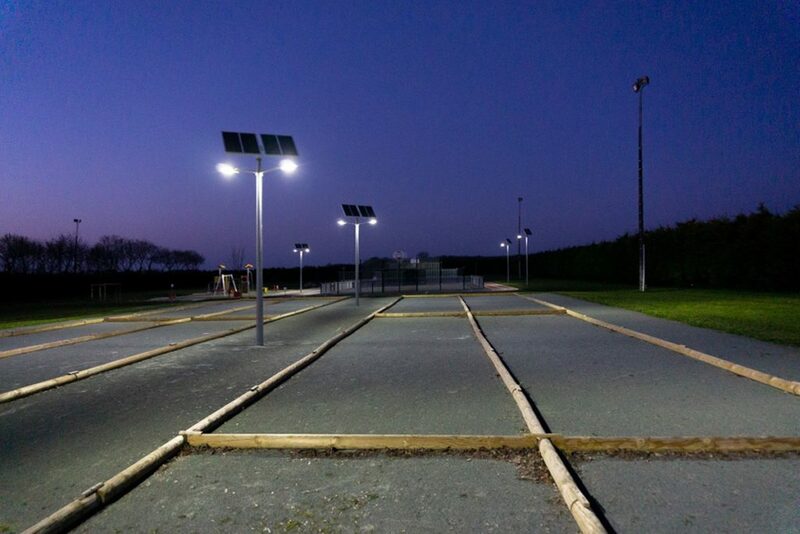 Finally, the UP2 solar street lamp lights up the recreational area dedicated to children. With our intelligent and connected solar street lighting solutions, lighting profiles evolve according to needs and uses, full power at the beginning of the night when residents are on site and low lighting in the middle of the night. During this period, the areas are marked and secured, but the lighting is designed to deter potential players in the middle of the night in order to avoid any noise pollution. At installation, Sunna Design’s intelligent and connected solar streetlights save not only trench costs to create a grid, but also energy costs and the subscription to an energy distributor. Bringing light through solar energy to these rural areas, creating social cohesion around games and recreational experiences through simple and fast installations of products with unparalleled performance and connected services driven by our mobile application. To conclude, the image of the municipality of Saint Pierre d’Amilly is innovative in the eyes of the inhabitants, it is a pioneering local authority in this region thanks to Sunna Design’s solar street lighting solutions.